Who do the Dallas Cowboys need to shut down? QB Robert Griffin – If this young man doesn’t get help, from within himself, he’s going to find himself the subject of possibly the biggest one way deal in NFL history. This one game won’t swing perception of Griffin, and he might be playing his final game in a Washington jersey. It’s not the knees or his ankles that are holding Griffin back, it’s what’s inside his helmet. The thought was that if his body held up, Griffin could be a game-changing quarterback because he seemed to be a player of high character. Now, he’s on an icy road with bad tires and worse brakes, and he has to have a complete character reset to prove that he can lead a team. 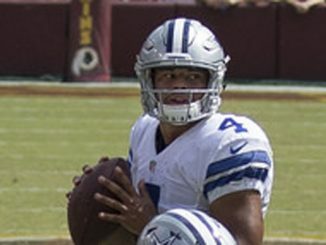 The Cowboys offensive line – On October 27th, the Cowboys hosted Washington on Monday night, riding a six game win streak, facing a third string quarterback and the way that the game shook out, sent the Cowboys into panic-mode. The Washington pass rush was a showing of desperation, and the waves of rushers got to Romo and even knocked him out of the game, and the way it looked, it seemed that the ocean opened up and swallowed the Cowboys’ playoff hopes. This final game of the season, the Cowboys o-line, featuring three pro bowlers need to go into Washington and really throw them around, open up giant lanes for the run game, keeping the quarterback upright and avenging their October performance. The Washington pass catchers – Last week, the Cowboys didn’t allow much of anything through the air, defending Reggie Wayne, Hakeem Nicks, and Donte Moncrief very well. The Washington receivers are dynamic in their own ways. DeSean Jackson is a player that is almost impossible to put a lid on and is always the deep threat. Pierre Garcon is the possession receiver that seems to move the chains with every catch. Jordan Reed is a solid tight end and is a great young operator in the middle of the field. Brandon Carr is coming off his best game of his season, and would be a huge boost to the defense if he can stack two good performances going into the playoffs. Which group will give Washington fits? 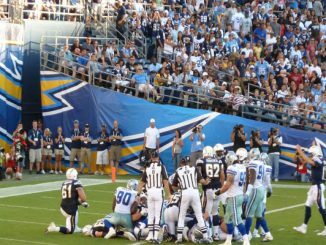 The Dallas Cowboys run game – Like I mentioned, the Cowboys o-line is going to want to show that the October game was their lone lapse all season. Needing just 28 to tie, 29 to set the single-season rushing record, I’m sure DeMarco Murray will have his guys motivated to really get the push. The Washington squad is quite stingy with allowing just 103.2 yards rushing per game, but chasing a legend might be the bigger motivator for DeMarco’s game. Take this game very serious. There likely are some thoughts of resting players, but getting another win, and finishing the season with a four game win streak is such a difference maker, especially if they slide into the playoffs with a loss against a supremely sub-par Washington team, and that would mean a sweep of the Cowboys for Washington. I think the teams will trade paint early, then Washington will start to fade out of the game.